Yezuitov, N., Poudouvkine, ''Pouti Tvortchestva, Les Voies de la création," Moscow, 1937. Mariamov, A., Vsevolod Pudovkin, Moscow, 1952. Schnitzer, Luda and Jean, Vsevolod Poudouvkine, Paris, 1966. Amengual, Barthélemy, V. I. Poudouvkine, Lyons, 1968. Rimberg, John, The Motion Picture in the Soviet Union 1918-1952: A Sociological Analysis, New York, 1973. Schnitzer, Luda and Jean, and Marcel Martin, editors, Cinema in Revolution: The Heroic Era of the Soviet Film, New York, 1973. Levaco, Ronald, editor, Kuleshov on Film, Berkeley, 1974. Dart, Peter, Pudovkin's Films and Film Theory, New York, 1974. Cohen, Louis, Harris, The Cultural-Political Traditions and Development of the Soviet Cinema, New York, 1974. Masi, Stefano, Vsevolod I. Pudovkin, Florence, 1985. Marshall, Herbert, Masters of the Soviet Cinema: Crippled Creative Biographies, London, 1985. Mariniello, Silvestra, Lev Kulesov, Firenze, 1990. Weinberg, Herman, ''Vsevolod Pudovkin,'' in Films in Review (New York), August-September 1953. Zorkaia, Neïa, ''Lve Kouleshov,'' in Cahiers du Cinéma (Paris), May-June 1970. Levaco, Ronald, ''Kuleshov,'' in Sight and Sound (London), Spring 1971. ''The Classic Period of Soviet Cinema,'' in Film Journal (New York), Fall-Winter 1972. ''Soviet Silent Cinema, Part I: 1918-1925,'' in Museum of Modern Art Department of Film Notes (New York), 7 March-15 April 1974. Duarte, F., and M.F. Feis, ''Kuleshov, Kozintsev e Trauberg,'' in Celuloide, vol. 27, no. 342/343, December 1982. Bergroth, T., and Koller M., ''The Extraordinary Adventures of Mrs. West in the Land of the Bolsheviks,'' in Filmviews (Mitcham), vol, 30, no. 124, Winter 1985. Montani, P., ''Il viaggio interminabile e la rappresentazione dell'altro,'' in Filmcritica (Siena), vol. 39, no. 387, September 1988. Bassan, R., ''Lev Koulechov,'' in Revue du Cinéma (Paris), no. 446, February 1989. ''Lo 'scandalo' Kulesov,'' in Castoro Cinema (Florence), May-June 1989. Kulesov, Lev, ''Caligari, Mr. West, Aélita: trois conceptions du film muet,'' in Positif (Paris), no. 359, January 1991. Sonnenberg, B., ''Aelita: Queen of Mars, Others from the U.S.S.R.,'' in Nation, vol. 254, 9 March 1992. Christensen, P. G., ''Contextualizing Kuleshov's Mr. West,'' in Film Criticism (Meadville, Pennsylvania), vol. 18, no. 1, 1993. Face: Film Theories of Lev Kuleshov,'' in TDR (Cambridge), vol. It is doubtful whether many historians would regard a Soviet filmmaker of the 1920s as having delivered an opening salvo in what would be known as now termed the ''cold war.'' Yet Lev Kuleshov's The Extraordinary Adventures of Mr. West in the Land of the Bolsheviks so completely foreshadows the attitudes inherent in more modern East-West tensions that it has lost little of its satiric bite today more than 70 years after its original release. At the same time, it has grown in stature to become one of the pivotal films in the early development of cinema. 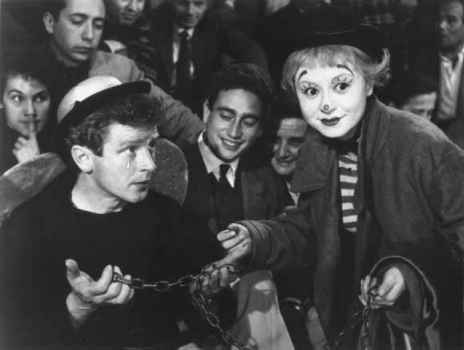 Conceived initially as a demonstration of the theory of montage developed by Kuleshov's experimental film group, the ''Kuleshov Workshop,'' which operated outside the formal curriculum of the Soviet State Film School, it advanced the art of the film on a number of fronts. Not the least of these was its employment of a number of brilliant young directors including Vsevolod Pudovkin who with Sergei Eisenstein would develop variations on the theory of montage that would produce most of the outstanding Soviet films of the 1920s. For three years preceding the production of The Extraordinary Adventures, the group, because of a scarcity of film stock, conducted filmless exercises in editing and reconstructing imported films such as D. W. Griffith's Intolerance in an effort to analyze the precise manner in which a film produces meaning. The Extraordinary Adventures, however, provided the first lengthy, practical opportunity to put the workshop's theories into practice. Interestingly, one of the group's overriding concerns was to demonstrate that a different type of actor was needed for the screen than for the stage—still a major issue in the Soviet Union which had been relatively cut off from the films of Griffith and other innovators. Since, in Kuleshov's view, film creates meaning through a number of interacting images of which the actor constitutes only one, the acting technique must support the visual images that are intercut with it—an idea unheard of on the stage. His characters themselves, however, shared one characteristic obviously borrowed from the theater, that of personification. Mr. West, the most obvious example of this trait, is a typical American holding views representative of most of his countrymen. But his views or, more precisely, fears become personified in the symbolic characters that his entourage encounters in the Soviet Union and, though the actors deftly underplay their roles, the satiric undertones come through. For the most part the staging of West's misadventures is inspired by American Westerns and action comedies of the late teens—although probably not by the films of Charlie Chaplin or Buster Keaton, as some have suggested; few such films were exported to the Soviets during and immediately after the revolution.